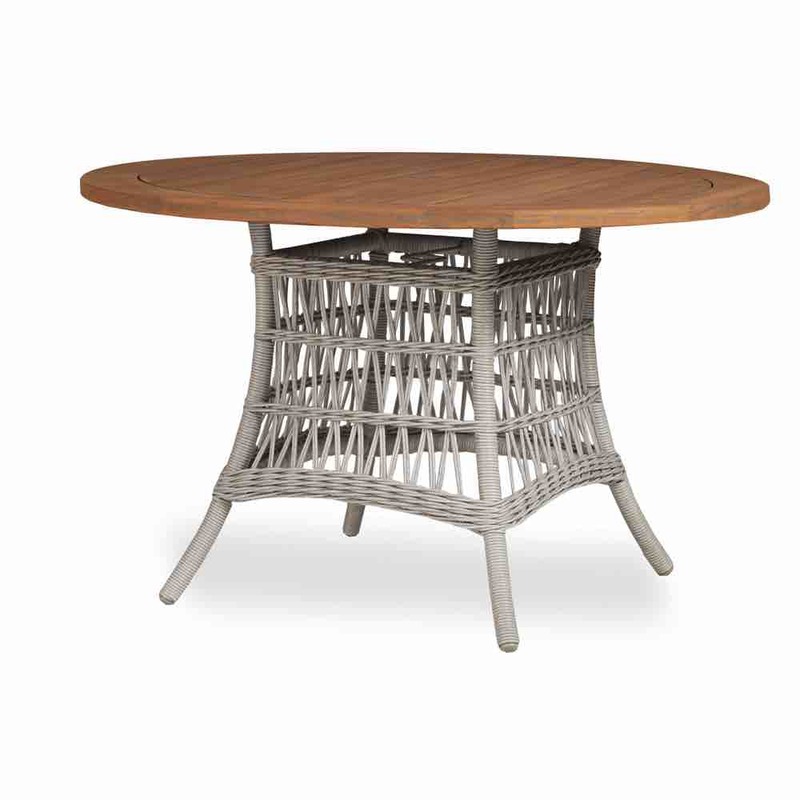 Try this Lloyd Flanders 40" round umbrella Wicker dinning table from the Mackinac collection. The combination of open weave wicker and the teak wood top really work well together. 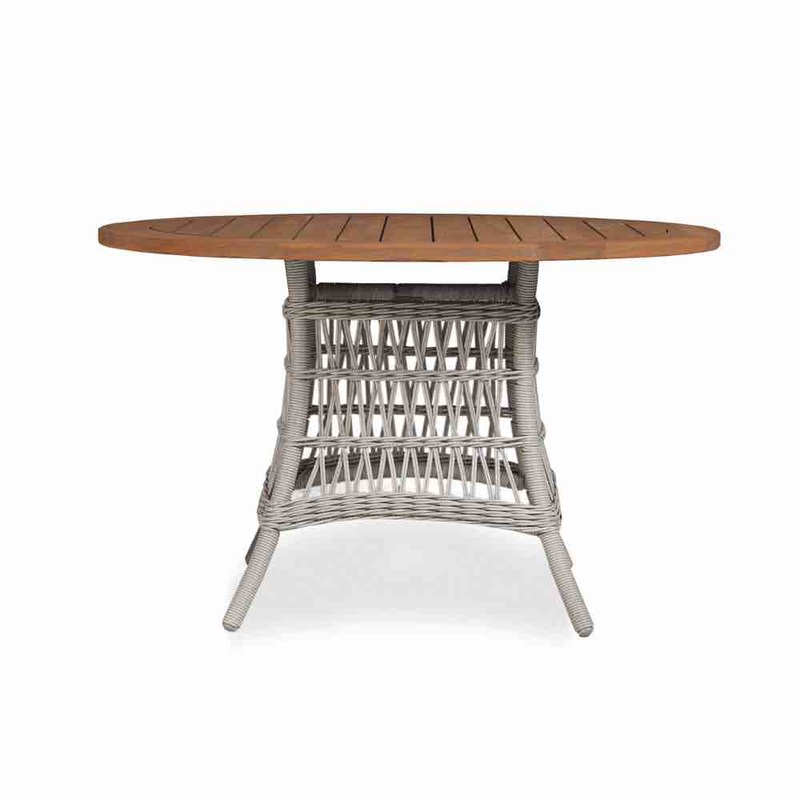 Round outdoor wicker dining tables are great because you can fit a lot of chairs around them if you have to. Beautiful open weave wicker base and gorgeous teak wood top. The frame is aluminum and the resin weave is 100% vinyl. By following the care instructions, your wicker furniture will last a very long time while looking and feeling great the whole time.